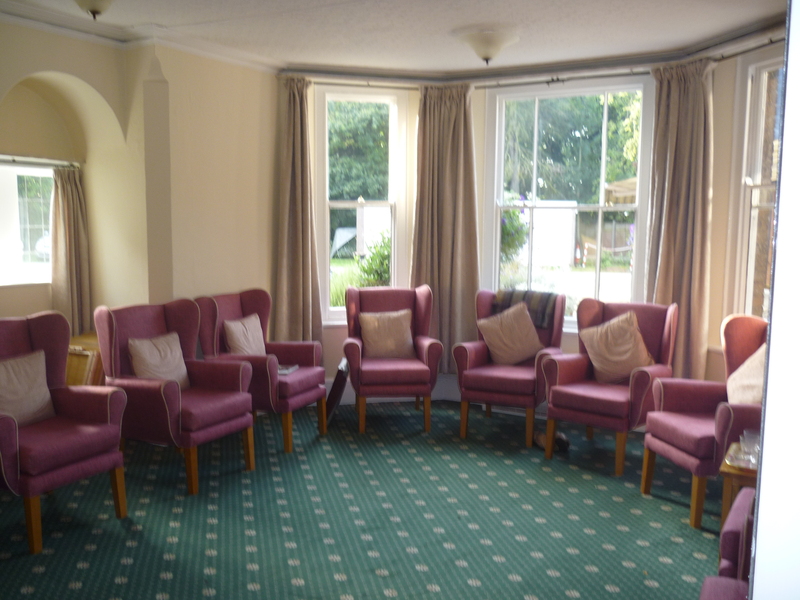 We are a registered charity so all of our funds are ultimately spent on the residents. There are 26 rooms some of which are en suite. We are gradually upgrading as many rooms as we can to en suites. The residents’ bedrooms are their space, it is entirely up to the individual how they wish to decorate or furnish the room. Staff may only enter bedrooms with permission from the resident. All rooms have television aerial points and many residents have their own telephones and WiFi is available throughout the building. We have three lounges one of which has a small dining area where people can entertain their guests in private if they wish. Our large dining room is next to the kitchen and is usually where we have all our parties and entertainment. 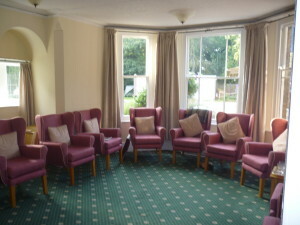 The two larger lounges are used constantly by the residents and visitors and are always a hive of activity. There is a vertical lift to access the first floor of the old part of the house and a stair lift to take people to three bedrooms in the more modern extension. The garden is large and we have many areas where people can sit and relax. We have a small allotment and we enjoy the produce from this area throughout the summer months. 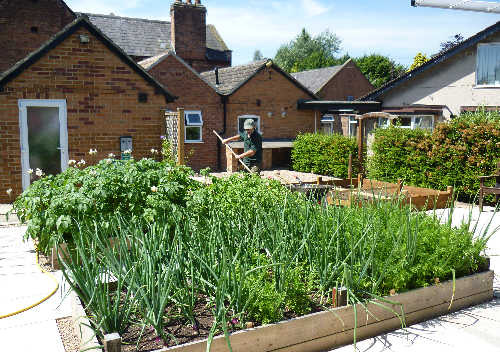 This is accessible and residents can tend the raised vegetable and salad beds if they wish. Otherwise there is a seating area here where they can check on our full time gardener Martyn! Our Head Cook Misha has been with us for more than 10 years and she heads a team of kitchen assistants and an Assistant Cook. 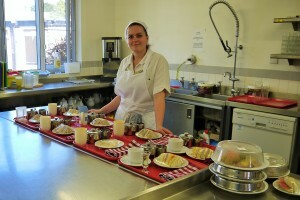 All of the team come with a wealth of experience and are trained in Food Hygiene and Health and Safety. We serve a cooked breakfast every day and there are at least two choices of main course at lunch time. Our meat and vegetables are sourced locally, baking is done daily and Misha is able to cater for all tastes and needs. Our food is cooked and prepared fresh each day, and the menus are varied and interesting. Meal times are generally the same each day but people may choose when and where they want to eat. Breakfast 8.00am – 10.30am. Lunch 12.45pm. Tea 5.00pm. Drinks and snacks are served throughout the day although people may have drinks and snacks when they want. 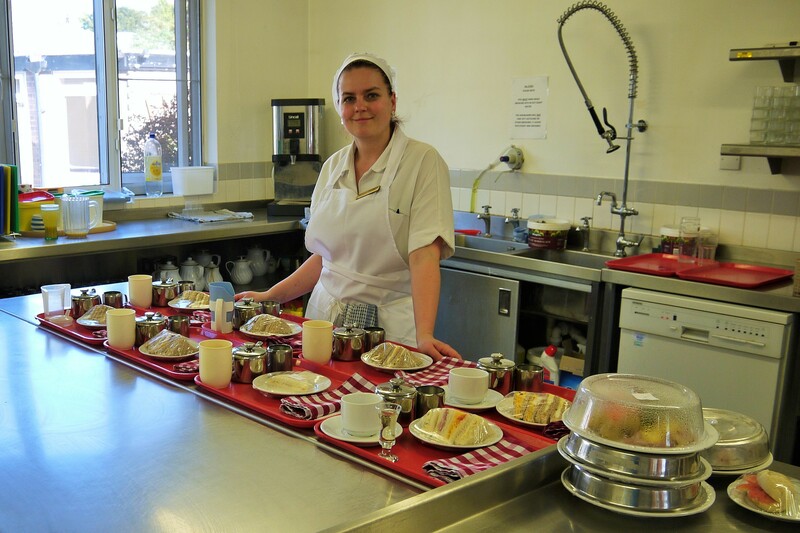 It is not uncommon for our night staff to prepare some cheese on toast for a resident. if their own GP agrees, remain with them. We receive an excellent service from the GP’s and the District Nurses. 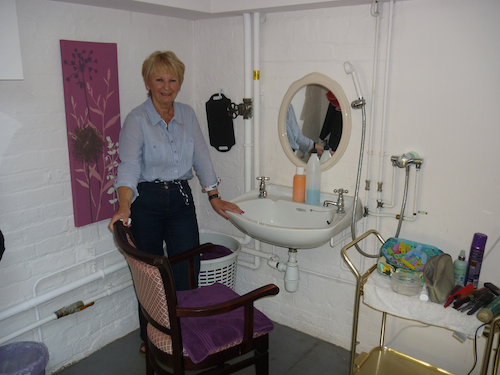 The home has a newly refurbished hairdressing room and our hairdresser is with us every Thursday. Some residents still go in to the village to have their hair done. The link to our most recent CQC report is on the Home Page. The report from the most recent Notts County Council inspection can also be found on the Home page. If you would like a paper copy of the Radcliffe Manor House Brochure or any futher information please feel free to contact the Home directly.